Thanks to attorneys like you providing content and moderating our forums we are now receiving more than 32,000 page impressions a month. We are looking for attorneys with extensive knowledge of criminal record removal law in their respective states. If you wish to share this knowledge with the ever growing amount of visitors on RecordClearing.org, please leave a comment on this page and we will get back to you. As a RecordClearing.org attorney you will enjoy free promotion to your website, improve people’s ability to find accurate information, and have the satisfaction of answering questions in the forums. There is no cost. 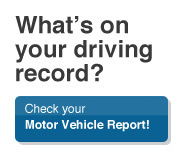 All we ask in return for this valuable advertising and source of referrals is that you place a link to recordclearing.org on your main expungement related page and answer questions in your state’s forum page within 5 days of them being posted. Simply leave a reply below with your name, email, website, and a brief message and we will get back to you with more details and help you set up an account or send email to info at RecordClearing.org. Good afternoon. I am a paralegal employed by the Washington State Attorney General’s Office and assigned to assist the Washington State Clemency and Pardons Board (“Board”) in processing incoming Petitions for pardons, commutations and the restoration of the right to hold public office. After reviewing your website, I wanted to bring to your attention that the Petition form on your site is outdated and no longer accepted by our office. Please go to the Board’s website at http://www.governor.wa.gov/clemency/default.asp. to obtain the current form and contact information. In addition, there are specific Instructions on how to apply for clemency which are provided on the website. Please feel free to contact me if you have questions or need assistance. Thank you very much Ms. Gottberg. We will update the form. Terri do you know what I have to do to get this off my record so I can go on vacation with my wife to Canada. I cant do anything at this time it has been over 25 years séance I was in any trouble with the law. please call or email me thank you. 1-10-2014. HI terri gottberg new what do I need to do to get this off my recored , please get a hold of me by phone or email please. roger Vogt. Hi Roger, I am not sure if Terri Gottberg still monitors this website. 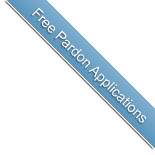 If you have submitted a Pardon and want to inquire on the status of the application, I would recommend contacting their office at the number she provided above.